A blast from the past that's right at home in the present. 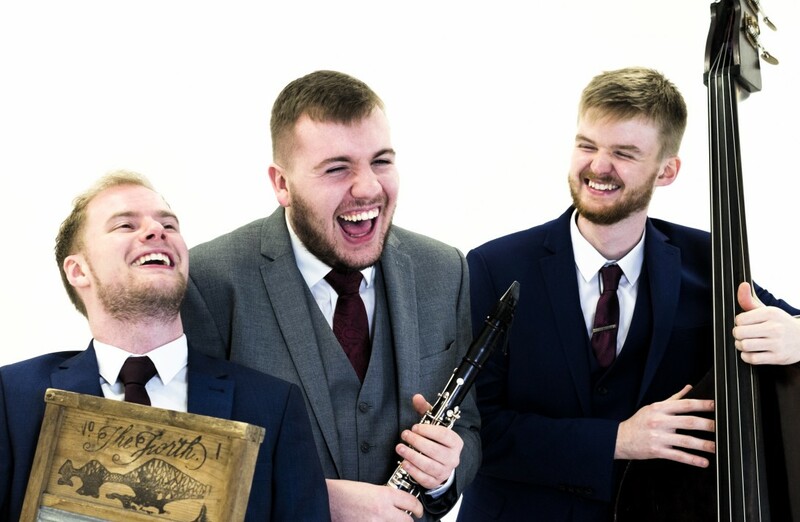 The Ragtime Jazz Band is exactly what it says on the tin, so any more words are probably unnecessary, but we love them so much we want to tell you all about them. 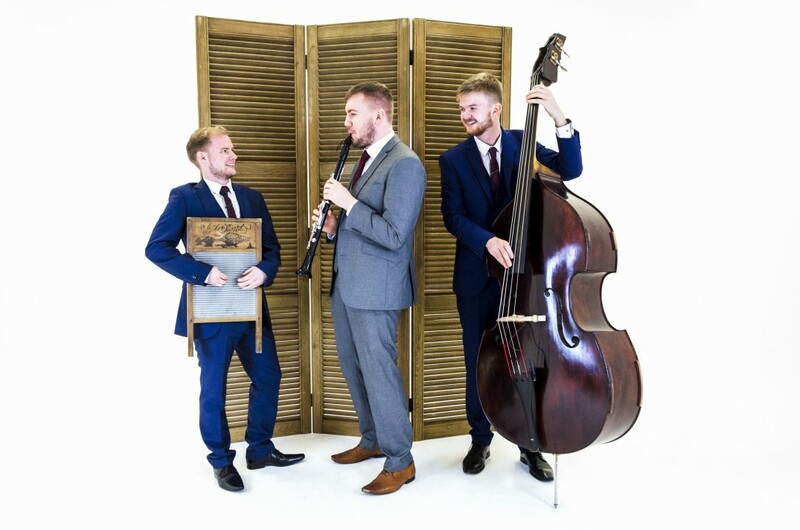 They are a talented acoustic trio of clarinet, upright bass, and washboard, which, combined with their lively vocal harmonies, gives a new lease of life to traditional Dixieland, New Orleans jazz and blues. But there's a bit of extra pizazz to these boys. 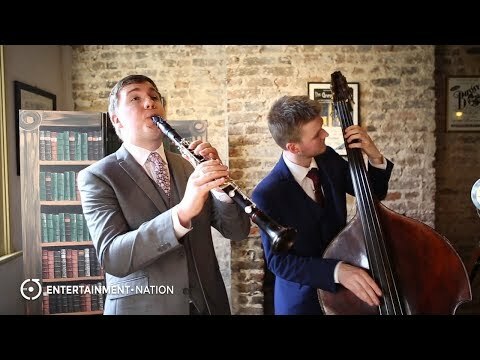 They introduce a delightfully eccentric twist to their performance that will have your guests in raptures. To put it simply, they make people happy - what more could you ask for? An optional addition to the trio is a trumpet to make up a quartet. The guys come with no lighting or PA as they are completely acoustic, which means they are an ideal choice for venues with sound limiters. 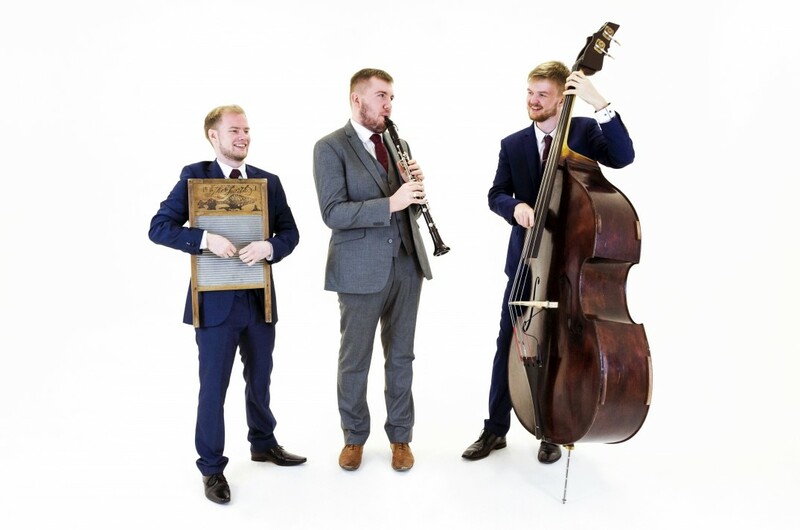 This charismatic trio are equally at home as a jazz band for wedding receptions, birthday parties and black-tie events, rousing the room with a fun-packed rummage through the musical treasure chest. 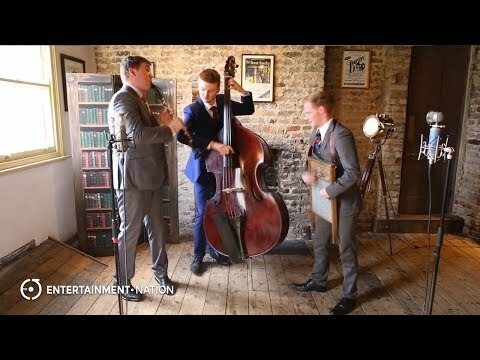 Classics like 'When the Saints Go Marchin In' and 'When You're Smiling' will have normally rational individuals of all ages clapping their hands, tapping their feet, singing along, even attempting the Charleston, having shed all inhibitions; you just can't help yourself. It's fun, it's frivolous, and it's absolutely fantastic. There aren't many acts like this around, so get cracking and book them now. Prices are based on a 5pm or later arrival and Midnight finish, including 2x45 minute sets of live performance. Approximately 30 minutes are required for the act to set up and sound check (depending on access to the performance area). Alternative timings also available. "The event went very well thank you. 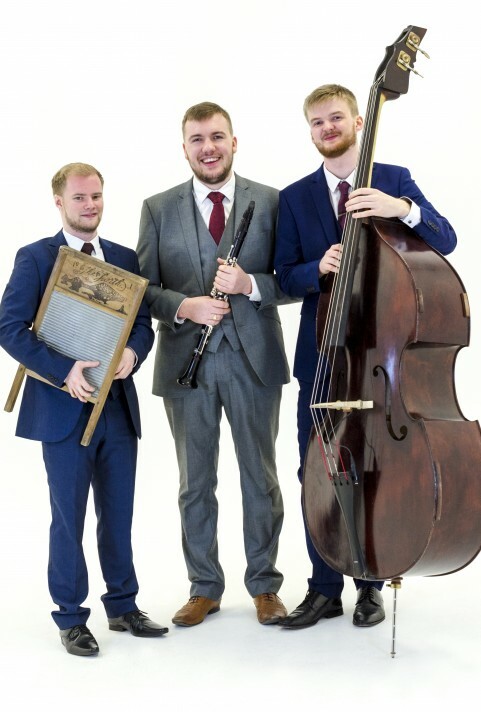 The guests all thoroughly enjoyed themselves and The Ragtime Jazz Band did a fine job of creating atmosphere - thank you." "The sun came out and The Ragtime Jazz Band went down very well indeed. The background type music suited the lazy summer afternoon event and was exactly what we wanted. Many guests mentioned how accomplished the musicians were and I wouldn't be surprised if we get asked for a referral in the future - in which case I'll forward them on!" "You guys were amazing thanks, so energetic and talented and everyone I spoke to afterwards said how great you all were. Thanks so much again to you and your band and I hope you enjoyed it, as much as we did."